So, you forgot to take your Echinacea with Osha, you ran out of vitamin C and your co workers keep coming into work sick and doped up on symptom masking cold medicine. No wonder you’re not feeling well. 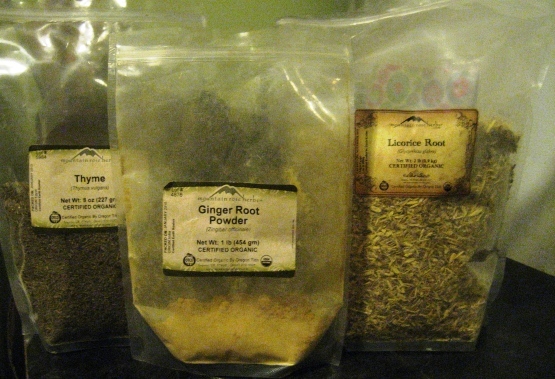 If you’ve got a cough, congestion or any other phlegm related symptom this tea can help. And it’s never too late to start taking immune boosters like zinc and FIRE CIDER!!! Thyme, Ginger and Licorice, a powerful cold and flu remedy. This tea is really easy to make and take. The recipe for this tea is a ratio of water to herbs so you can make a lot or a little. When someone is sick we put a soup pot on the stove and keep it going all day. A cup of tea every couple of hours can make a huge difference in how you feel. For every 4 cups of water use 3 Tablespoons of ground Ginger or fresh if you’ve got it, 1/3 cup of Licorice root and 1/3 cup of Thyme. Put a lid on it, bring to a boil and then turn the heat off and let it sit, covered, for 15 minutes. Strain out a cup at a time and drink it hot. You can add honey to sweeten and it will also help soothe your sore throat and boost your immune system. For more information on these ingredients and their amazing health building properties, check out the links below. 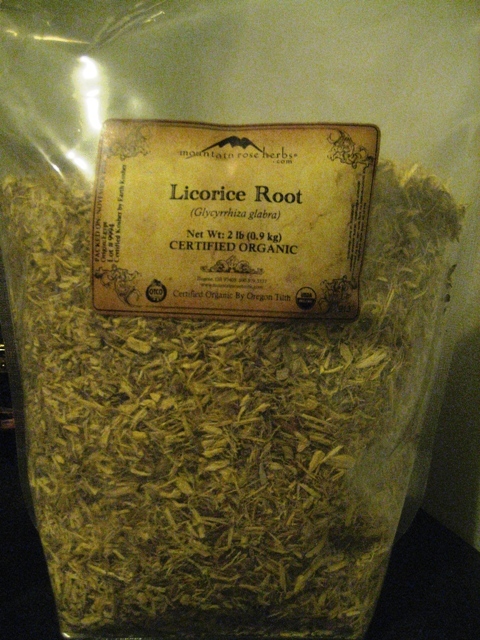 I order herbs from Mountain Rose all the time, always organic, always the best quality.